THE BEAUTIFUL SPIVEY’S RESTAURANT. This was taken November 13, 1964. This gorgeous structure was on the corner of Ocean and Water Streets where Chase Bank sits. (formerly Home Savings & Washington Mutual). 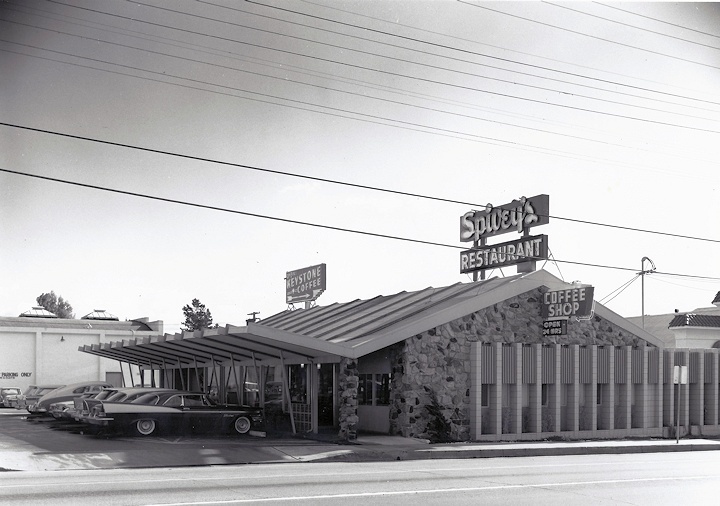 Spivey’s was always open 24 hours and I have no idea who owned it, or if it was part of a chain…any info out there?? PTSD AND SHOCK AFTER NATURAL DISASTER. Read this article, then ask yourself why Santa Cruz has never experienced such reactions after our earthquake…or did we?? WOMAN STUNT PILOT CHANGES PLANE TIRE MID-AIR. 1925. Peggy Snider found this awe inspiring clip. Not for viewing by the faint at heart…I mean really, really scary. JIMMY CARTER WRITES ABOUT HUGO CHAVEZ. Jimmy Carter wrote about Hugo Chavez in Progreso Weekly. He writes, “President Chávez will be remembered for his bold assertion of autonomy and independence for Latin American governments and for his formidable communication skills and personal connection with supporters in his country and abroad to whom he gave hope and empowerment. During his 14-year tenure, Chávez joined other leaders in Latin America and the Caribbean to create new forms of integration. Venezuelan poverty rates were cut in half, and millions received identification documents for the first time allowing them to participate more effectively in their country’s economic and political life”. Read the rest of his statement here. DAVENPORT GALLERY CLOSING & BONNY DOON WINERY OPENING.. Unless they have unusual funding sources art galleries don’t do very well in this County. Last week the Davenport Gallery sent out this email, (abridged) “Friends, Our time at Davenport Gallery is coming to an end. For the last 3 years we have done our best to be the best gallery in Santa Cruz County. We exhibited hundreds of local artists and sold over 150 thousand dollars in local art. We hung over 30 different shows on a wide range of topics. We met thousands of locals and visitors and shown them some of the talents of many artists on the Central Coast. And we have had a good time doing it. Alas, the time has come to make way for a new venture in Davenport, the venerable Bonny Doon Winery. The month of March appears to be our last and we want to gather one more time to thank you all”. The pictures and articles that our daily newspaper The Santa Cruz Sentinel publishes are the reason I’ve been a subscriber since 1970. Along with many others, stuck forever in my mind is a picture of the wrecking ball taking its first swipe at the Cooper House, starting its demolition, changing the downtown’s character forever. However the events surrounding the recent murders of Officers Baker and Butler, the DeCinzo portrayal of a grieving statue of Tom Scribner, and the picture of Officer Butler’s partner Peter Wu, holding their little boy wearing his mom’s police hat will never be forgotten. Our daily printed newspaper, the Santa Cruz Sentinel, should be commended for their editors, reporters and photographers giving us such a quality newspaper. An on-line newspaper will never replace a printed one; thanks Sentinel, for being there every morning. click on each photo to see the “before and now” pictures. EAGANS DEEP COVER. 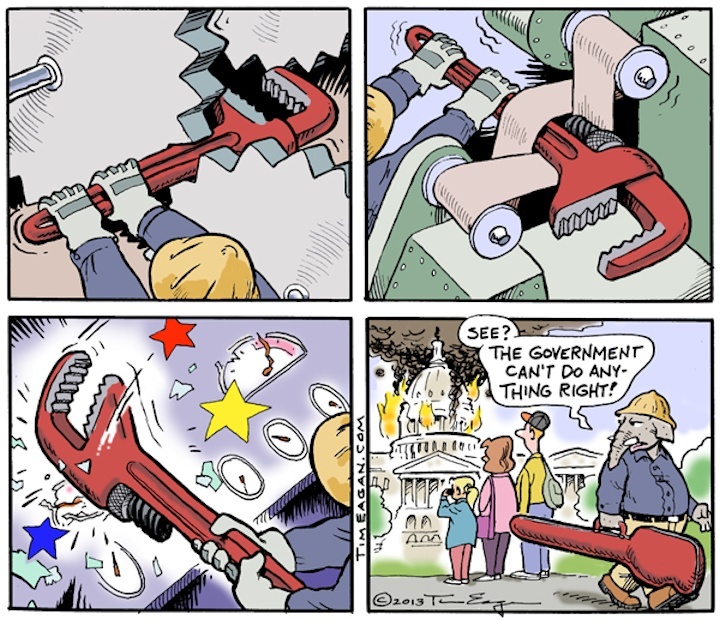 Eagan exposes the GOP’s take on the machine age…see below. LANDAU’S PROGRES. Saul asks, « When Will The Siege End ? “In it he states, “Now, the Socialist government of Cuba has converted the swampy area into a resort, with a hotel and restaurants for curious tourists and Cuban vacationers. A museum offers remnants and keys to understanding that historic encounter that left President Kennedy with much diplomatic egg on his young face. Save for a few short periods, U.S. hostility has remained unrelenting toward its small defiant neighbor. But Cuba built a formidable health-care system, a prodigious educational machine that begins in infancy and continues through the PhD, for those qualified”. He ends with, “I get nostalgic for old times and youth. But when I see the old U.S. Embassy, not the US Interest Section, I recall the nasty old days of violent counter revolution coming from Florida, the heroic deeds of Cuban guerrillas who had fought for the revolution and the good times of the old days. Maybe, before I make another trip to the island, Secretary of State John Kerry will open discussions with Raul Castro for the purpose of restoring diplomatic and even commercial relations. What a change that will bring… I can imagine the Havana streets full of U.S. tourists and students. Read all of the article here.. .
Saul Landau is filming with Jon Alpert a documentary on Cuba’s campaign against homophobia. His FIDEL and WILL THE REAL TERRORIST PLEASE STAND UP are available on DVD through cinema librestudio.com. LISA JENSEN LINKS. Lisa writes: “How well does James Franco fill out Judy Garland’s ruby slippers (well, not literally…) in the new Oz movie? This and other burning issues discussed this week at Lisa Jensen Online Express” Lisa has been writing film reviews and columns for Good Times since 1975. FLASHMOB PRESENTS CARMINA BURINA. Ralph Davila found this gem of one of the great flashmob performances being staged around the world. Let’s hope they don’t try anything like that in downtown Santa Cruz, it would take all day to arrest that many talented citizens. OZ THE GREAT AND POWERFUL.This new version lacks much of the magic and depth of the 1939 original, and its well worth watching. But it should be viewed in 3D and on the biggest screen possible because it’s a visual marvel. James Franco is no young version of Frank Morgan (the Wizard) and Michelle Williams as Glinda (the witch) is no Billie Burke, etc. This new version makes dozens of references to the original and since the original is my favorite film, I was completely taken in by all those touches. The 3D effects are beautiful and very Oz like. There are a few Munchkins in it but no music. LORE. Lore is the nick name for Hannelore, a Hitler Youth andthe teenage daughter of one of Hitler’s SS troops. Both Dad and Mom are jailed by the Allied troops who have occupied Germany. Lore takes her three younger brothers and baby sister on a 500 mile journey across Germany. Taught to hate Jews, she is helped along the way by a handsome young Jew and the trek is one you’ll never forget. This film was Australia’s foreign film entry for this years Oscars. Don’t miss it. GATEKEEPERS.The Shin Bet is Israel’s secret service. This Israeli documentary interviews six former directors of the Shin Bet as they tell horrifying stories of their “justifiable” killing and torture of Palestinian “terrorists”. Each of these men feel bad and almost repent for their roles in the Israeli Palestinian wars. 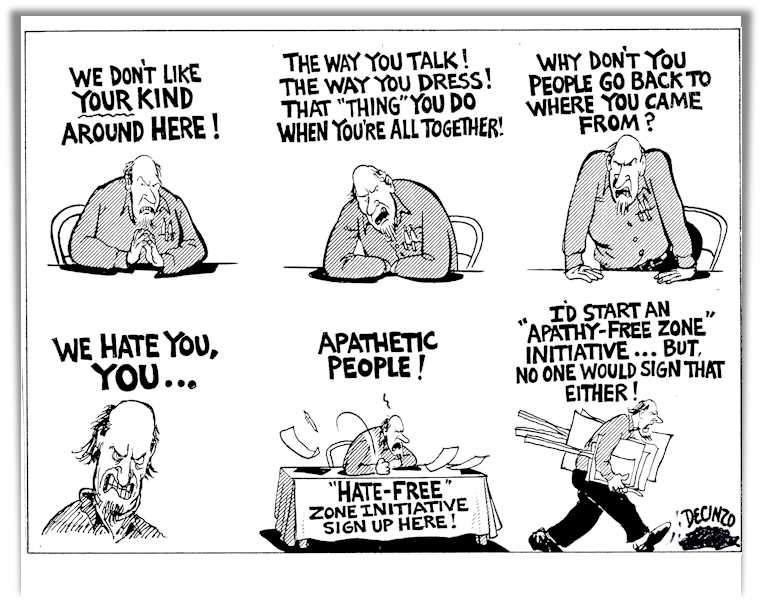 You’ll be forced to re-think any and all wars on terrorism, and what it means to humanity. It’s an important film. Don’t miss it. Music of Scotland – Featuring the Baltimore Consort.The Baltimore Consort presents a magical journey through Scotland, including popular Native Aires, songs by A Courtly Poet, plenty of The Scotch Humour, culminating in a Crossing to the New World. Performing are Mary Anne Ballard (viols and rebec), Mark Cudek (cittern, viols and Renaissance guitar), Larry Lipkis (viols, recorder), Ronn McFarlane (lute), Mindy Rosenfeld (historic flutes), along with vocals (guest artist).This happens Saturday March 16, 7:30pm at the UCSC Music Center Recital Hall. QUOTES. “The end move in politics is always to pick up a gun“, R. Buckminster Fuller. “I have given my life to the struggle. My life belongs to the struggle. If I have to lose my life in the struggle, well, then, that’s the way it will have to be”, Angela Davis. “Our political power is our ability to destroy”, Huey P. Newton.